We strive to help clients own their wealth rather than the reverse while focusing on rate of return and stability. On the markets: The over-concentration of the United States populace in the age group roughly defined as baby boomers can drive markets up as they en masse try to do the same thing at the same time, which is to save for retirement. However, as they en masse try to live on their wealth or require their pension plan to do it for them to retire, the net forced sales every day can make capital worth less. Interest rates have marched toward 0%, public stocks, private industry valuations, and tangible assets like real estate or oil can all struggle while having extreme volatility. This population imbalance is a long term problem and, as such, can be difficult to see in our short term sound bite society. On the art of managing capital: When a client converts from employment to partial or full retirement, they have usually come to a realization about their wealth. They realize that, to the degree acceptable to them, they have won the money game. At that point in life, a loss in capital is an undoing of a dream. A professional financial advisor, like a professional athlete, realizes that after a game is won, a new game plan is needed to secure the win while running out the clock. This is especially true in our world of imbalances. Efforts to manage risk and volatility take on a whole new meaning. Tom is a graduate of the University of Michigan with a Bachelor of Business Administration degree in Finance. He completed the Senior Financial Advisor Program at The Wharton School of the University of Pennsylvania in 2000. Tom has been a Financial Advisor since 1983, and holds a variety of securities and insurance licenses including FINRA Series 7, 8, 63, and 65 as well as Life Insurance and Variable Annuities. An avid pilot, Tom is licensed for land-based and seaplanes, both single and multi-engine. As a water-lover, he enjoys long distance swimming and scuba diving. Tom’s community and charitable activities center around providing Catholic education opportunities to families who desire but cannot necessarily afford the programs. Tom and his wife Sharon have three grown children. They enjoy spending time up north, in the air, and in the water. 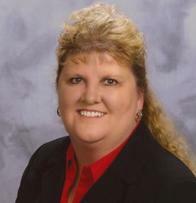 A Financial Advisor, Karen has been in the financial services industry since 1980, registered since 1985. She carries FINRA Series 7, 63, 65, and 31 registrations. Karen is also licensed for Life Insurance and Variable Annuities. Karen attended the American College for Financial Planning from 2000-2003. 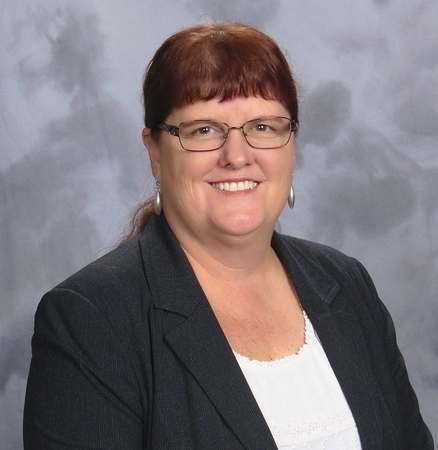 Karen is the current Treasurer for Zonta Club of Flint and has been a Zonta Board Member since 2005. An enthusiastic philanthropist, Karen is involved with numerous other local charitable organizations including Whaley Children’s Center and St. Luke’s New Life Center. Karen and her husband Roger are very family-oriented and have two children and one grandson. They enjoy spending their spare time with their family locally and in northern Michigan, enjoying all four seasons in the great outdoors. A Financial Advisor since 1990, Gary graduated from the University of Michigan with a Bachelor of Arts degree in Industrial Psychology and from Ashland Theological Seminary with a Master of Divinity degree. Gary has continued his education with industry registrations and licenses, including Series 7, 63, and 65, as well as the National Commodities Futures Exam, Series 3. 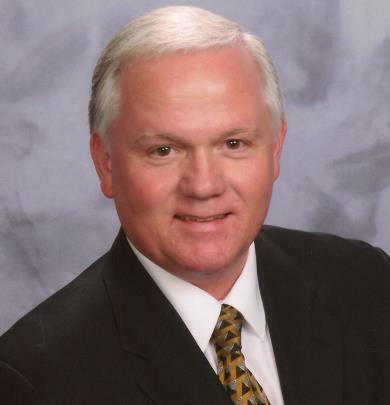 Gary is licensed for Life Insurance, Variable Annuities, and Long Term Care coverages. A student of the markets, he regularly attends industry conferences, and has taken part in such courses as Lump Sum Distributions, and Asset Allocation and Estate Planning. 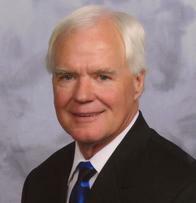 A member of the Michigan Society of the Sons of the American Revolution, Gary is the past State Treasurer and Chairman of the Finance Board as well as past president of the local chapter. He and his wife Sharon have three grown children and six grandchildren. They enjoy spending time up north riding ATVs, snowmobiling, fishing, and doting on their grandchildren. 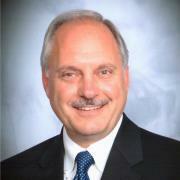 Steve attended Ferris State University from 1979-1980 and 1982-1985. A Financial Advisor, Steve joined the financial services industry in 1997, and has earned numerous FINRA registrations including Series 7, 63, 66, and 31. He is also licensed for Life Insurance, Variable Annuities, and Long Term Care coverage. Steve continues to keep his skills sharp by attending industry courses including the Lump Sum Distribution and Retirement Planning courses. An avid photographer, Steve is known for his sharp eye, both as a Financial Advisor and as a photographer. Parents of two, Steve and his wife Marsha have supported the Grand Blanc High School Hockey team and the Grand Blanc High School Girls Swim team. Mark has been a Financial Advisor since 1992. From 1978 to 1981, he attended Oakland City College in Indiana and University of Michigan-Flint. Mark carries the FINRA Series 7, 63, 66, and 31 registrations, and successfully passed the Lump Sum Distribution course. Mark is also licensed for Life Insurance and Variable Annuities. Mark is well-versed in Social Security filing strategies and keeps up to date on the markets. Mark has been involved in local youth sports since 1994. He is a member of the Genesee County Coaches and Officials Association, and has served in the past as Secretary of this organization; he is the current President of Swartz Creek Youth Athletics. Mark officiates local high school basketball and football games, emphasizing the lifelong benefits of athletics and sportsmanship. 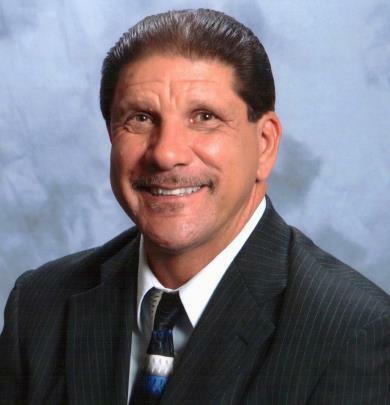 Mark is an avid golfer and enjoys sports, particularly outdoors. Mark and his wife Debbie raised two children and are the proud grandparents of three. 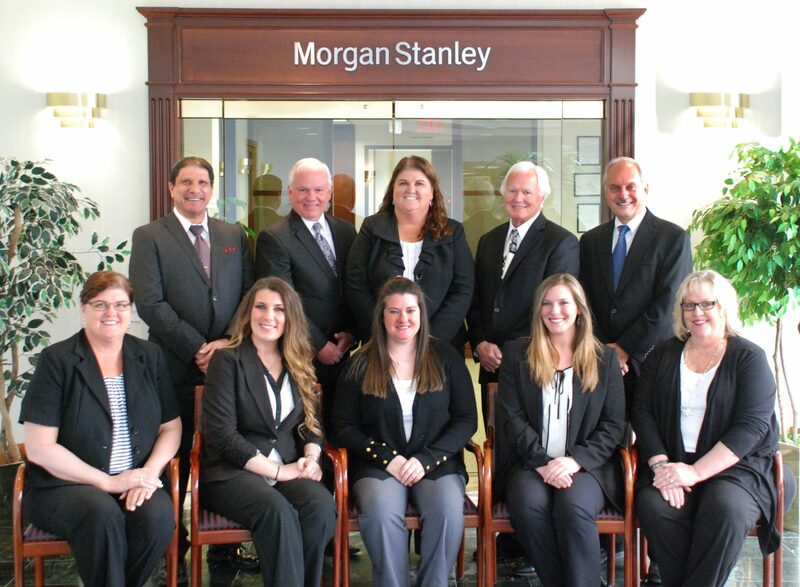 Sharon has been in the financial services industry since 1981, and with Morgan Stanley since 1990. She carries numerous FINRA registrations including Series 7, 9, 10, 63, and 66. Currently a Group Director, Sharon has served in numerous roles in the industry including Operations Manager and Business Service Manager. She taps into her vast experience and leads with a clients first attitude. Sharon has been a dedicated Zonta Club of Flint volunteer since 2006, having served in numerous capacities, including board member and President. She is also an active volunteer with Whaley Childrens Center. Sharon and her husband Tom love to spend time with their family and traveling together. A licensed pilot since 2009 and a certified scuba-diver, Sharon enjoys time in the air and under the water. On land, Sharon enjoys reading and crafts. A Senior Client Service Associate, Mary has been in the financial services industry since 1984, and a member of The Green Group since 2000. Prior to that, Mary earned her Associates degree from Baker College, majoring in computer programming. Mary enjoys building and maintaining relationships, and enjoys talking to clients about their lives, their hopes, and their dreams. Mary is an active member and volunteer at Holy Redeemer Church. She serves regularly as a Eucharistic minister and has been a youth teacher, educating students in first through sixth grades. Mary is an avid reader who also enjoys scrapbooking and other crafts. She and her husband Dave have three grown children and six grandchildren. In their spare time, they enjoy camping in the great outdoors, and spoiling their grandchildren. A graduate of Western Michigan University, Taylor earned her Bachelor of Arts degree in Telecommunications and Information Management. A sorority sister with Alpha Omicron Pi, Taylor was also a member of the Leaders Council. 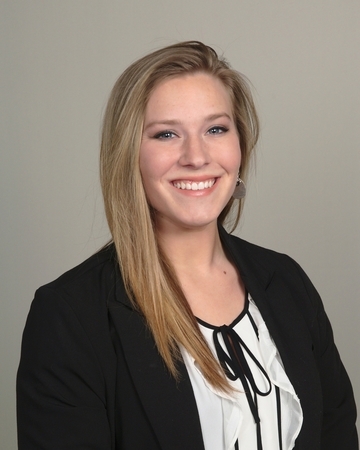 Taylor joined The Green Group at Morgan Stanley in 2017 as a Client Service Associate and is the teams technology specialist. Prior to joining Morgan Stanley, Taylor was an Operations Manager for a photographer based in Oklahoma and Texas. An avid volunteer for the Michigan Lupus Foundation, Taylor looks forward to taking part in the annual Lapeer Walk for Lupus. In her free time, Taylor enjoys playing the guitar, upcycling vintage items for her home, and spoiling her cat Oliver. A Client Service Associate with The Green Group, Jessica joined Morgan Stanley in 2017. Her previous experience includes over two years in the banking industry and over five years in customer service. Jessica has a big heart for fostering homeless animals, especially puppies and kittens, and she is a past participant in The Crim race. Known for her love of classic 80s movies and a good joke, Jessica is also passionate about traveling and spending time with her family. 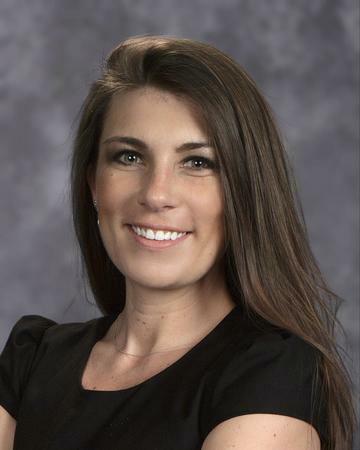 Emily joined The Green Group at Morgan Stanley in 2018. 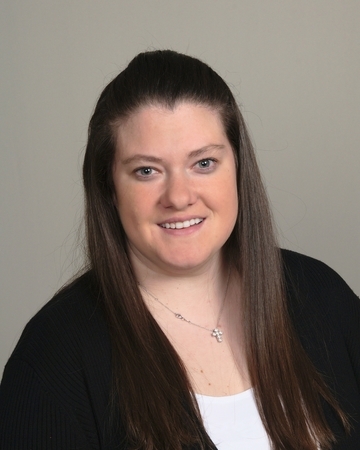 A graduate of Powers Catholic High School, Emily attended Baker College and Ferris State University. Always willing to support her local community, Emily is a member of the Zonta Club of Flint as well as Big Brothers/Big Sisters. Very active in the Michigan outdoors, Emily enjoys all four seasons. She plays softball, hikes, swims, and enjoys boating and tubing. Her indoor interests include crafting, painting, and watching movies. Whether at home or up north, Emily and her husband Trevor love spending time with their families and their adorable rescue pup Waffles.